Every time I am asked to recommend business or, marketing book, I always say, read “The Art of War.” As I strongly believe that the success or, failure of any marketing plan is basically devoted to the strategy and tactics then comes the implementation and execution. I always find the elite strategies ever been developed was always a military strategy where you can learn the basic concepts and easily make use of them for your business success. The Art of War was written by a Chinese general named Sun Tzu more than 2,500 years ago, possibly in the 6th Century BC. The book has long been heralded for its advice on military success. And this advice has since been co-opted by legions of armchair soldiers and generals in the business world. The themes in “The Art of War” seem to run parallel to those in the business world, with the fight to be the leading company seen as the war and the competition seen as the enemy troops. There are several quotes used by Sun Tzu in his book that can be used to motivate managers and other businessmen in order to achieve ultimate success. I am writing this trying to find a different approach for the same events we have witnessed over the last few days and avoiding any political analysis focusing on the tactics, maneuvers and strategic plans implemented by The Egyptian Army to deal with the 2nd Egyptian revolution started on 30 June. Motivate others with your words and actions. Give them courage; instill in them a sense of possibility. Every action that you take will lead to a learning opportunity and will encourage moving forward movement in others. Teach others by example. If you do it, they will follow. General Abdul Fatah Al-Sisi [The Egyptian Colonel General and the current Supreme Commander of the Egyptian Armed Forces] since took the position since 12 August 2012 have sent the message to Egyptian people that The Egyptian Armed Forces will be always supporting the people’s will. His strong words stating that The Egyptian Army is ready to sacrifice by souls to protect The Egyptian People was a strong message to state his decision clear. This words was translated by actions 2 days before the 30th of June protests when The Egyptian Air Forces on 28 June took the initiative to secure critical establishments started by The Egyptian Media Production City (EMPC). Millions on the streets marks the beginning of the end for Morsi and his party Freedom and Justice, The political Arm for the Muslim Brotherhood whom claimed to be the masters in gathering people in protests and ware always bragging of mobilizing their supporters. This all was proven wrong and seems like The Egyptians played with the same weapon of the Muslim Brotherhood ! In His speech, which was loud and passionate, Morsi blamed loyalists of Mubarak, his predecessor, for fighting against democracy and challenging his leadership through the current wave of protests. This was not an acceptable excuse for The Egyptian people but! even was an additional reason why he admits his policies faliures and it even urged more Egyptians to follow Tamarod movement which announced it reached up to 22 Million signed petition and inspired by mass protests against ex President Morsi. It was very provocative action when Morsi supporters started an early proactively protests in 28 June and it even urged anti-Morsi for massive protesting. The Egyptian Army have presented an incredibly dynamic leadership example and was able to motivate an entire country to work together and move forward a very difficult time in the modern Egyptian history. 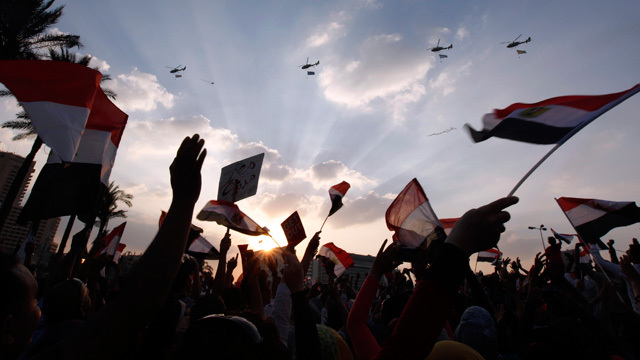 While Military Helicopters might be a source of fear for civilians in any country, The Egyptian Air Forces was pointed by The Egyptian People in Tahrir square as a savior. The Military Helicopters used to fly closer to the people giving them feeling of security and throwing The Egyptians flags to the protesters was a strong supportive message while the protesters salute the helicopters back by the green laser beam. It was a amazing moment to witness a 2 ways non-verbal communication between The Army and The People where the messages understood with zero words ! 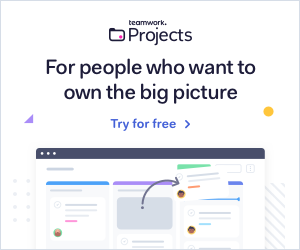 That’s a quote from strategy guru Michael Porter of Harvard’s famed business school, one I think makes a lot of sense and always an inspiration for your Marketing Plan. It is a critical process in the strategy success to decide when you will stop and not to chew more than you can swallow. The strategic plan must be created against the backdrop of the organization’s values; its morals. Alignment is vital in executing strategy. Often, strategic planning efforts fall short due to skipping the strategy alignment process. To drive successful implementation of the strategy, we focus on aligning individuals and teams towards the organizational vision. The Egyptian Army was quite challenged to keep its unity and avoid falling into a destructive scenario such as the Syrian Army. It was important when dealing with such critical milestone in The Egyptian and Middle East history to keep all the army ranks starts from Gen. Abdel Fattah al-Sisi to Th solders ranks on the same wavelength and on one man’s heart without cracking or finding a fracture to split The Egyptian Army. Once you have established your commitments, You should deliver what you promised. Although successful strategies always include a degree of flexibility and maneuvering, the military has said it will impose its own “road map” for the future if Morsi does not meet the protesters demands Wednesday. 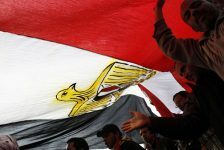 The Egyptian Army had to meet the Egyptians expectations as he announced that the given chance for the presidency is 28 hrs. Any delay would have been a fire back for the Army credibility and it would have generated a vast disappointment as people recognized The Army as the last hope to get rid of the failure management of the ex-President Mursi and the Muslim Brotherhood cabinet led by Dr.Kandil. This image made from video shows Gen. Abdel-Fattah al-Sisi, (C) flanked by military and civilian leaders in including reform leader Mohamed ElBaradei, (1L) Tamarod leader Mahmoud Badr, (2L) Grand Sheik of Al-Azhar, Ahmed el-Tayeb, (3R) and Pope Tawadros II (2R). Al-Sisi addresses the nation July, announcing the appointment of Adly Mansour as Egypt’s interim leader. Braining more allies always a good source to collect view information from different perspectives and points of view, to interpret implications, and to make appropriate recommendations. Effective strategy results from the varied input of a diverse group of thinkers. While ex president Morsi was insisting to get biased to The Muslim Brotherhood, The fist thing to avoid by the army was to collect all the political opinions under one nation flag and to make sure that all the colors of the Egyptians ware involved in the decision making process while announcing the road map. It was a very smart move to give a speech to Grand Sheik of Al-Azhar, Ahmed el-Tayeb, and Pope Tawadros II to send a message to all Egyptians whatever his/her religion is that The Egyptian Army respects every one. Also giving the chance for #Tamaroud representative to give 2 speeches was a clear message to the young generation that thy will play a role in the new political map. This speech was very smart and tactful that meant to give a proven evidence to anyone who would claim its a military coup, That 30 of June was a Nation’s Coup made by Egyptians and supported by the Armed Forces to obey The Egyptian people demands.